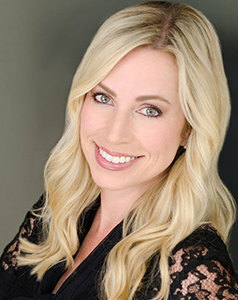 After a decade in real estate and $175 million in closed transactions, consistently selling clients' properties faster and for more money means that Brandie delivers results, from the listing to the closing table. Indeed, as the real estate expert on HGTV's top-rated shows, Designed to Sell in Chicago, Hidden Potential, as well as "Property Envy" on Bravo, Brandie's expertise in design and staging complements her real estate know-how, bringing a unique blend of talent, energy and client focus not only to TV, but to her daily work helping buyers and sellers find success. Don't rely solely on the Internet to browse real estate. Many sites are inaccurate or out of date. Work with a great agent who can keep you apprised of new listings within your specifications and budget, even before they've hit the MLS. If you're going to buy, after choosing the right agent, visit a lender to determine your purchasing power. Having a pre-approval letter in hand makes your offer exponentially more compelling to a seller. Work with agents who are in real estate full time and with many years behind them so you are represented by a knowledgeable, skilled professional who understands every nuance to the deal, from marketing to negotiation to holding the sale together in the continued challenges of this market. and who offers comprehensive professional guidance and personal support throughout the process.